based in Peterborough, serving Northampton, Cambridge, Leicester and Bedford. Legislation requires that all employers provide appropriate health & safety training to all staff. This includes providing fire safety training instruction as part of the induction program for all new members of staff. Ideally, all health & safety and fire safety induction training should take place on the first day of employment. Good practice is to include fire safety procedures within the Company Staff Handbook (if provided). 4.Instruction in the company’s documented procedures to be followed in the event of either discovering a fire, or hearing the fire alarm. In addition to the above, it is generally considered to be beneficial to provide all staff with training/instruction in general fire safety awareness. If staff are aware of the fire hazards and risks in their areas of work, they can help prevent a fire from occurring in the first place. Probably a good idea!!! It may also be appropriate to appoint specific individuals as Fire Marshals or Wardens; to have particular responsibilities in the event of a fire (more information on this will be in my next blog). 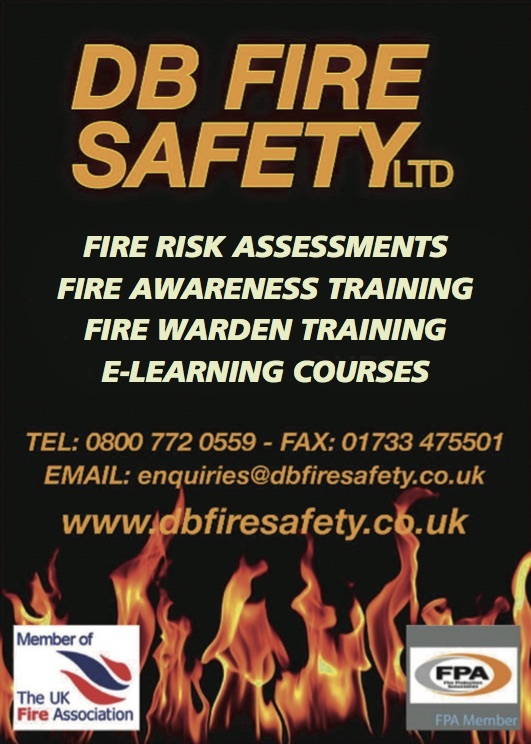 DB Fire Safety Limited offers training courses in all aspects of fire safety including: Fire Safety Awareness and Fire Warden Training. We also provide specialist training to staff working in Residential Care Homes (more information on this will be in a future blog).